Our fully equipped air-conditioned gym offers a range of fitness equipment. This includes cardiovascular machines from treadmills to step machines and resistance equipment including free weights and dedicated functional fitness and stretching area. The Cardio Zone is an additional facility to the gym and can be accessed during centre opening hours. A dedicated area that can be used to develop your cardiovascular fitness. The Cardio Zone is host to the latest Technogym range that boasts 20 treadmills, and also has programmable activites for gym members. Functional training simply means training our bodies to better perform the types of movements we use for everyday life such as lifting grocery bags, picking things up from the floor, or climbing up a flight of stairs. The time spent developing dynamic strength, flexibility and agility carries over into your daily activities, making life a little bit easier. Fitness programmes which are centred on functional training mainly consist of weight bearing activities and activities without weights (pure movements to re-educate the body in what optimal movement is). Both are targeted at the core muscles of the abdomen and lower back, as these muscles are crucial to proper posture in life. Alternatively you can book within the centre. Squash is only £5 per 40 minute session from Monday to Friday at the following times: 8.40am, 9.20am, 10am, 10.40am, 11.20am, 2pm, 2.40pm, 3.20pm, and 4pm. You can hire a high quality racquet for a cost of £2.45 per use and a returnable £5 deposit. For more information please ask in centre or contact the centre directly on 0203 6425520. The centrepiece of Spa Experience Old Street is the Thermal Spa; comprising of an Aroma Steam Room, Hammam, Hot Rooms, Sauna, Monsoon Shower, Bucket Shower, Plunge Pool, Ice Fountain and Relaxation Lounge. Experience the health benefits of traditional therapies that have been enjoyed for hundreds of years. 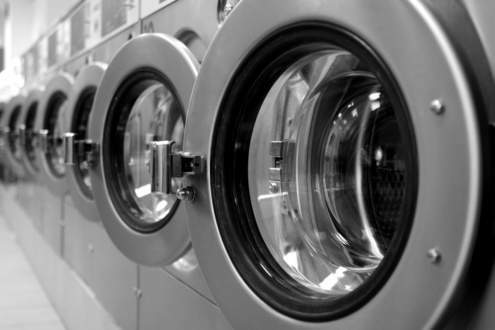 Mon - Fri: 8.00am-8.00pm (please note last wash is at 6.45pm). Sat - Sun: 10.00am - 4.00pm (please note last wash is at 2.45pm).